ERISAN 1200 Lumens LCD Mini Projector comes with wi-fi capabilities, so no more wire connection with our Android devices. Erisan mini home theater projector comes with a host of features to meet your advanced multimedia demands. It lets you enjoy big screen sharing of photos, videos with your friends and family wirelessly. It supports gaming machines such as PS2, PS3, Xbox, and Wii via HDMI cord, and desktop/laptop via HDMI/VGA cord, set-top box/DVD via AV cord, read U-disk or SD card. Please note that Erisan 1200 lumens LCD mini projector is not authorized to use Netflix and YouTube content due to DRM, you can learn more about DRM by searching it in Google. ProjectoReviews.com reviews various projectors that include LCD, LED and DLP technologies based video projectors from various popular brands such as Epson, Optoma, BenQ, Sony, LG, CiBest, Tenker and many others. Most of the video projectors reviewed on ProjectoReviews.Com are based on users' reviews provided on Amazon.com shopping website. Also, most of these projectors have received 4+ ratings and recommendation from real users. 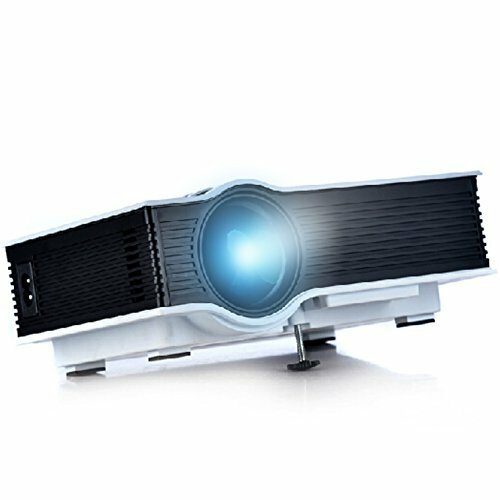 I will request all the visitors to use search box of ProjectoReviews.com to find the desired projectors, if you are not able to find your desired projector, please contact us. I will try my best to help you find your desired projector.